Many of the obstacles to earning an MBA can make the process worrisome for even the most eager student. Factors like cost and salary loss as a student can be prohibitive for many potential MBAs. However, one solution may be shortening the amount of time it takes to earn the degree, which can reduce both the overall cost as well as the time without a full-time salary. Through accelerated or One-Year MBA programs, students can get all the benefits of an MBA degree in half the time. If you are looking to pursue an MBA in the Chicago metro area, one of the country’s top business and cultural hubs, you may want to opt for a one-year MBA program to keep costs low and get to graduation day even faster. Below, we’ve rounded up the best Chicago One-Year MBA programs. The Kellogg School of Management at Northwestern is one of the top business schools in the country, taking the fourth spot in U.S. News‘ “Best Business School” ranking. The one-year accelerated MBA at Kellogg is the fastest path to earning a degree from this top-ranked school. Beginning in June, this rigorous program gives students an opportunity to immerse themselves in the Northwestern community of business professionals, build leadership experience and learn from some of the world’s top teachers. The accelerated MBA at Kellogg is one of the first One-Year MBA programs in the nation, offering students the chance to bypass core courses and choose from over 200 advanced studies courses. The Mendoza College of Business at Notre Dame University is consistently rated as one of the top schools in the country, ranking 29th in U.S. News and World Report’s ranking of the “Best Business Schools.” Mendoza’s One-Year MBA offers students a strategic business education in just 12 months. The benefits of a Notre Dame MBA are numerous, with access to a close knit community of business students and access to Notre Dame’s global alumni network including more than 270 alumni clubs. The one-year program includes 46 credit hours with the chance to also participate in an International Immersion experience. The program begins with a 10-week summer intensive, and then allows students to select from a number of possible concentration tracks, such as business analytics, consulting, corporate finance or marketing. The Liatuaud Graduate School of Business at the University of Illinois at Chicago, which consistently ranks among the top 25 percent of business schools across the country, offers students the option of earning their MBA in as little as one year through their full-time Accelerated Cohort Program. The accelerated program at Liautaud can be completed entirely on campus through daytime classes, focusing on building a strong peer network, and community of business leaders. The Liatuaud MBA focuses on the foundations of business and management, offering a 54 credit program composed of 26 credits of core courses. The core curriculum is comprised of: corporate finance, financial accounting, marketing, microeconomics, operations management, enterprise strategy, and organizational behavior. 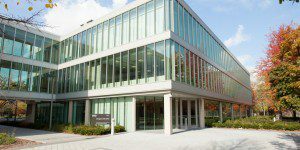 The Northern Illinois University College of Business offers a One-Year MBA designed for students to enhance their skills in communication and leadership over the course of 12 months. The program focuses particularly on collaboration, encouraging teamwork by having each year’s cohort begin together and take the same courses together throughout the year. Students will also participate in the One-Year MBA Capstone Project—a live case competition that challenges students to develop a business plan for a real company and with a real business situation.